Decommissioning radioactive, complex projects is one of Gilbane’s unique capabilities. 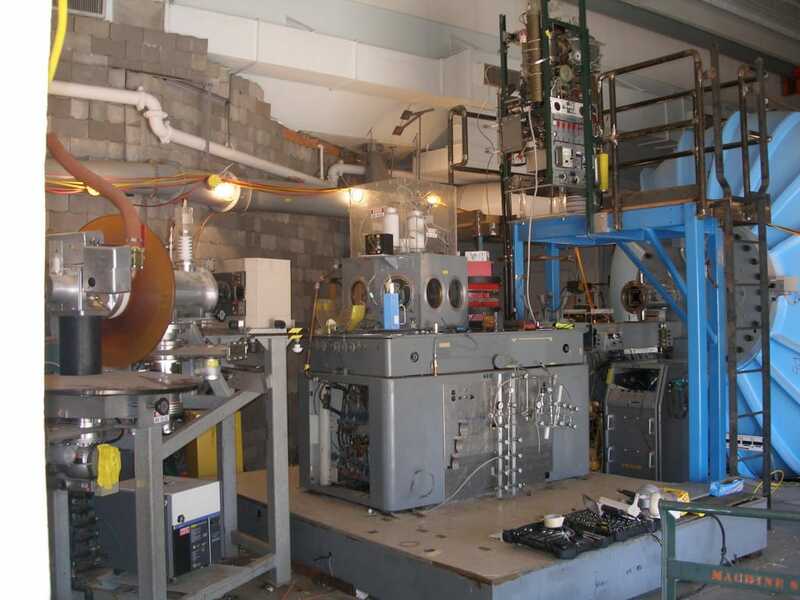 As part of the decommissioning of the Ion Beam Facility at Los Alamos National Laboratory (LANL), Gilbane performed the demolition and removal of radioactive piping and equipment. Project work included completion of a readiness review with LANL; mobilization and verification of safe configuration for demolition and removal of piping and other components; characterization of contaminants of concern; equipment dismantling, demolition, and sectioning; lifting and rigging and waste storage and disposal. During removal work activities, Gilbane removed radioactively contaminated piping, vacuum pumps, ventilation systems, and equipment. Where necessary, piping was drained of free mercury and cut or crimped into manageable lengths. Piping contained reactive cesium metal and had to be carefully removed and disposed of as a hazardous waste. Solder joints were cut and swiped for tritium, and sampled for lead and total mercury. Lead wastes were packaged for encapsulation to meet EPA regulatory requirements prior shipment for disposal. Subcontractor Performance Evaluation Report rated Gilbane’s work as “Exceptional,” for each of the seven performance evaluation criteria rated.